Casey has been in love with his best friend, Grady, since they were in middle school. But Grady has always liked girls. 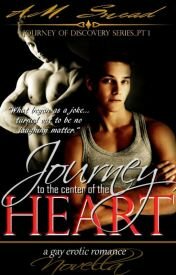 Grady knows Casey is gay but is unaware of his friend’s secret love for him. When Grady mentions going to a dating chat room, Casey decides to mess with him and makes a fake screen name and poses as a girl, then PM’s Grady – intending to identify himself after a short chat. But when Grady starts to open up and show his romantic side, Casey is drawn in and can’t bring himself to let go of the fantasy. By the end of their first chat, Casey knows he’s made a huge mistake and needs to come clean as soon as possible, before Grady develops real feelings for this imaginary “girl”. But finally experiencing how it feels to be desired by the man of his dreams, and witnessing how happy Grady is after multiple unfulfilling relationships…Casey is finding it harder and harder to tell the truth and bring them both back to a reality that will not only rob them of their desired loves–but of their friendship as well.